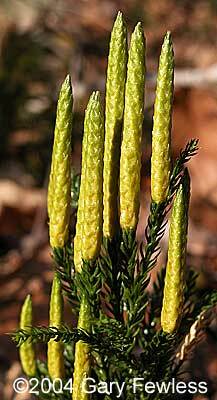 Lycopodium obscurum.R.A. Howard, hosted by the USDA-NRCS PLANTS Database (Accessed 1/2015). 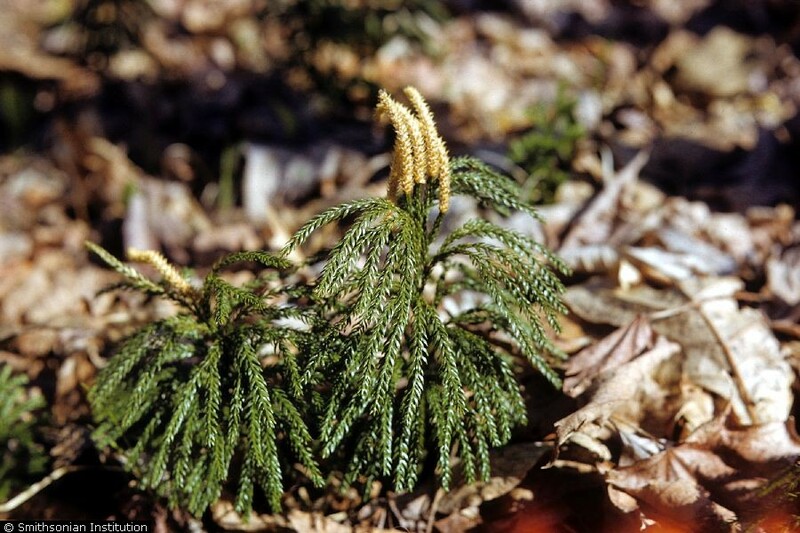 Lycopodium obscurum is an evergreen perennial clubmoss, colonial from deep underground stems (rhizomes), leafy stems erect, to 20 cm tall, tree-like, dark green, branches with a slender, bottle-brush appearance. Lycopodium obscurum. Underside_Closeup_of_lateral_branch.. commons.wikimedia.og (Accessed 4/2017). 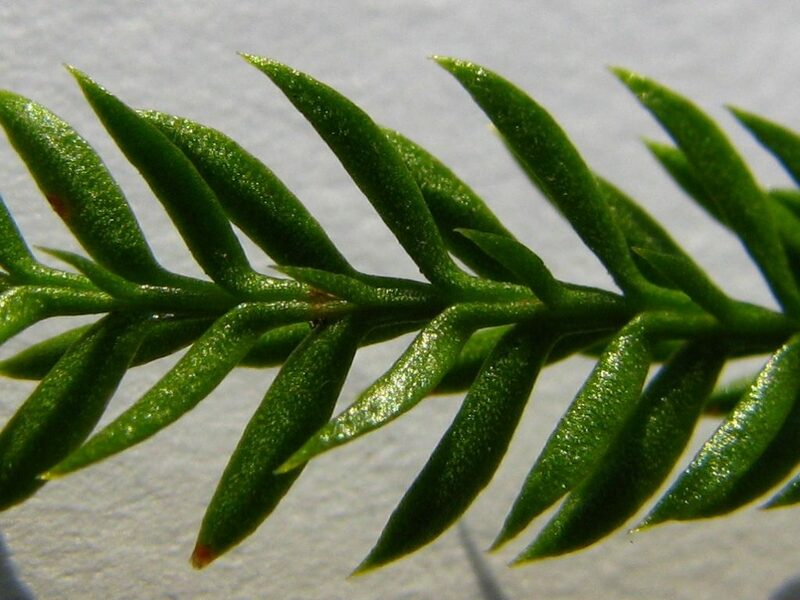 Leaves tiny, scale-like, overlapping, in 6-8 ranks, about 0.5 cm long, 0.1 cm wide, numerous, sharp-pointed. Spore cones yellow, 2-7 cm long, about 0.6 cm wide, in a candelabra-like arrangement above foliage; spores produced July-Sept. (Radford et al. 1968). Lycopodium obscurum strobilus_closed. © 2004 Gary Fewless. Ferns and Fern Allies of Wisconsin. Corfrin Center for Biodiversity. University of Wisconsin-Green Bay. uwgb.edu (Accessed 11/2017). Habitat: Undisturbed, moist woods, swamp forest edges. Appears more shade tolerant and requiring more moisture than L. digitatum. Notes: See Diphasiastrum digitatum. Lycopodiums cannot be successfully transplanted or propagated for restoration to natural areas (Montgomery and Fairbrothers 1992). Habitat protection is the only means of conserving these plants.